🤷‍ Have you've been putting off your SharePoint Framework education? 🤷 Maybe you were waiting for that killer deal to level up your resume? Now is the time to take advantage of our once-a-year huge discounts! 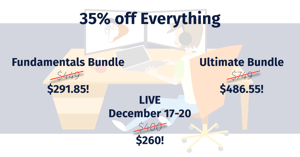 ✅ DEAL #1: 35% off EVERYTHING - including the 4-day, 12hr LIVE course the week of December 17-20, 2018 & the on-demand Mastering the SharePoint Framework Fundamentals & Ultimate bundles. ✅ DEAL #2: Buy 3 of anything & get 1 FREE! 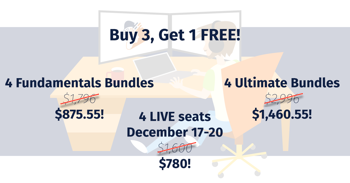 ✅ DEAL #3: The first 10 Mastering the SharePoint Framework Fundamentals or Ultimate bundles after 12p ET on Black Friday (NOV-23) & Cyber Monday (NOV-26) get a FREE 30m consultation ☎️ with Voitanos founder, course author and 12-time Microsoft MVP Andrew Connell. 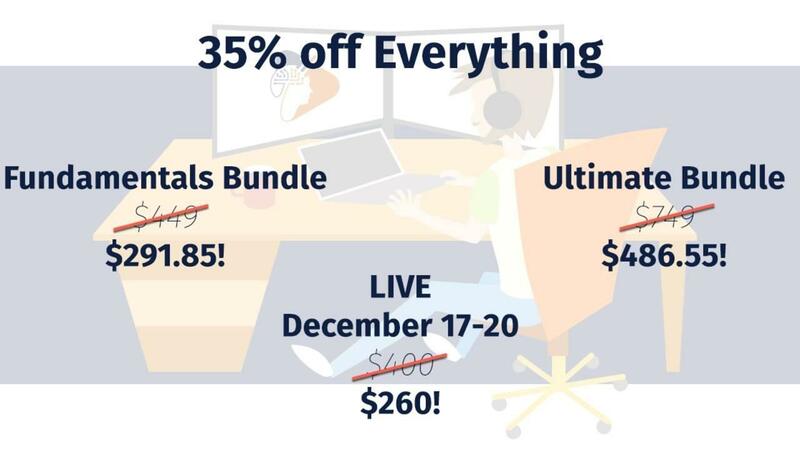 Don't delay much longer... these deals are only good through Cyber Monday Monday, November 26! Click here to learn more about these awesome deals!